There is plenty of fighting talk from Claire Williams as she and the team try and arrest their current slump. Williams finished rock bottom of the 2018 Constructors’ Championship and were playing catch-up all season long with a woefully uncompetitive FW41. 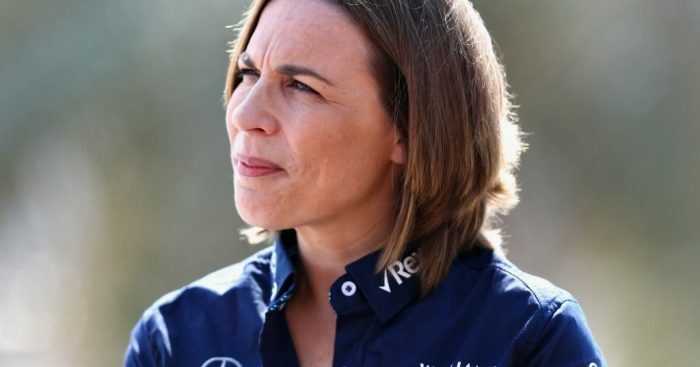 And Claire Williams believes the team have “resolved some key issues” from 2018 as she looks to protect her family’s legacy in Formula 1. “This is our family’s team, so there is a lot riding on that,” Williams told Racer. “One of the reasons why I took this job was to protect not just my dad’s but my mum’s legacy in this sport. It’s a legacy that we’re enormously proud of. So there’s that pressure. “And I care very deeply about the reputation of this team. “I care very deeply about the people that work for us and I want to make sure that they have a team that they can be proud of and that this team survives for many, many, many years to come in our sport. “So I have a huge personal investment, but I wouldn’t be doing anything else. Claire Williams also compared her current challenges to ones that her father was facing when he founded the team. She added: “For me, I very much actually almost liken my journey to that when Frank started the team. “We’re on our uppers from a performance perspective and you have to fight hard if you’re going to be successful in any sport. “Because success is so incredibly rewarding, that success isn’t easy to come by. Just ask Toto [Wolff, Mercedes boss], it takes an enormous amount of hard work – luck doesn’t necessarily come into it. “I’m prepared for that and I’ve got my sleeves rolled up and I’m going to fight with every inch of my being in order to achieve what I want Williams to achieve and I won’t give up until I do. “I’ll go down fighting if I have to, but I will continue to fight for this team because I believe in it.